It was 2016 when Taylor first noticed that her 12-month old baby, Kael, may be experiencing some delays in his development. From the beginning, Kael was upset by loud noises and did not like being around crowds. When he wasn’t babbling or making some of the expected noises babies make, Taylor brought him to the pediatrician’s office for an evaluation. Kael was referred to a speech therapist who thought that he would benefit from seeing specialized providers in the Early Intervention Program. The family was referred to A Step Ahead Pierce County (ASAPC), an Early Intervention provider that serves children ages birth to three who have one or more developmental delays or a diagnosis with high probability of developmental delay. A Step Ahead Pierce County is one of the agencies the Human Services Department funds to provide early intervention services. In general, early intervention services are for families with children under the age of three who are experiencing delays in development. These services include but are not limited to physical therapy, occupational therapy, speech pathology, and specialized instruction to assist in development across many areas. Early intervention services are provided in family homes and other community locations such as child care because infants and toddlers learn best through everyday experiences and interactions with familiar people in familiar settings. Teachers and therapists work closely with caregivers to find fun and meaningful activities which capitalize on natural learning opportunities throughout the day. When interventions are provided at home, children have multiple opportunities to practice functional skills such as walking around furniture at home; requesting food at mealtimes; or sharing toys with friends at childcare. Every year since 2014 , A Step Ahead has partnered with the Tacoma Children’s Museum to host interactive events called Story Alive. The most recent one was held in February and was based on the story The Little Mouse, the Red Ripe Strawberry, and the Big Hungry Bear. 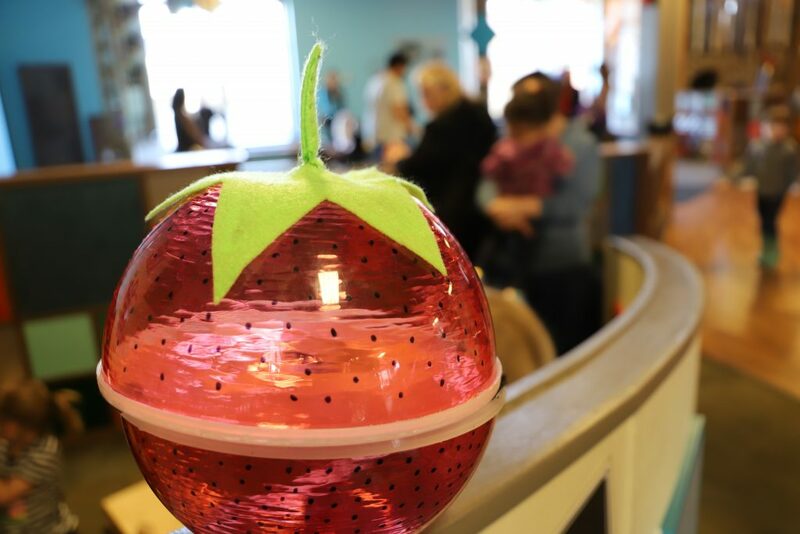 During the event, kids can play with various sensory toys, games, and activities that are all related to the story. Marti Cates, Early Intervention Teacher at A Step Ahead, started hosting Story Alive when she saw how positively the children were impacted. “Events like Story Alive bridge kids with special needs with communities. 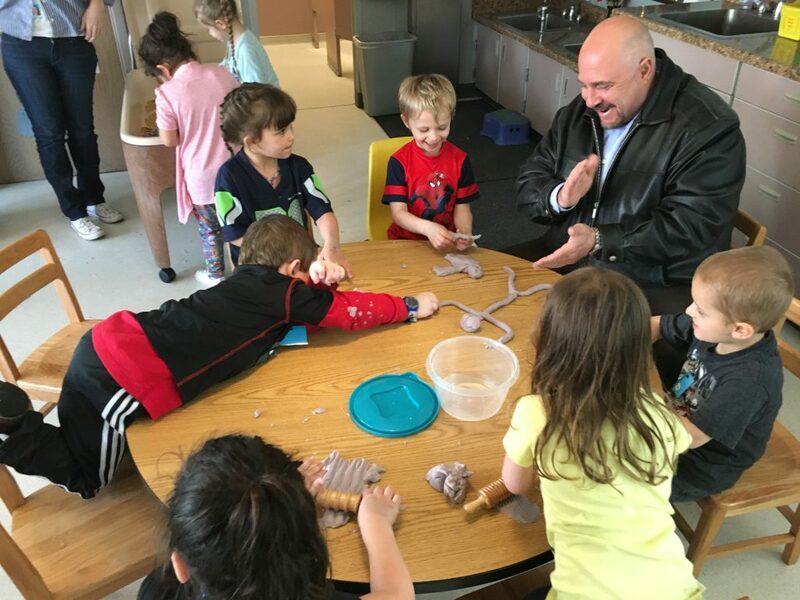 Often during reading, kids are not paying attention to the story but when you use puppets and other interactive elements, they love it!” The interactive element at Story Alive is provided by Tacoma School of the Arts students, who put on a song/dance routine for the children. 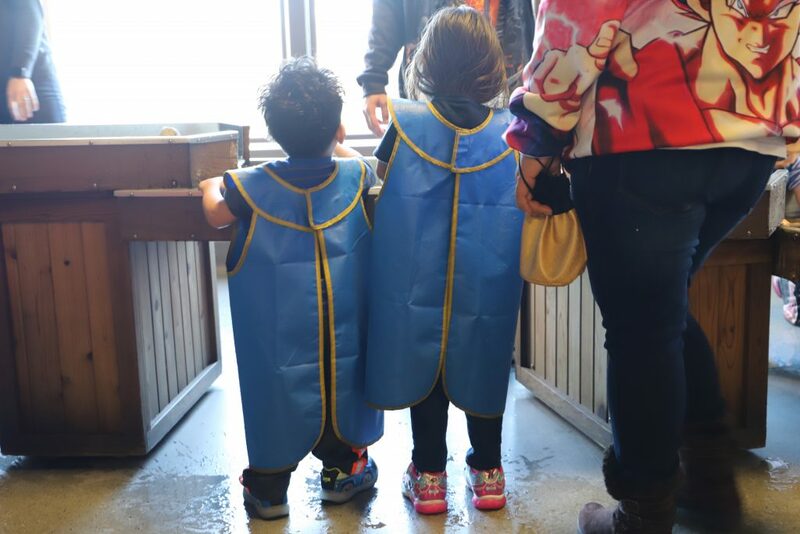 During the event, children are engaged in a myriad of sensory-friendly activities. Kids could paint, dig for berries in the garden, climb the strawberry playground, or visit the water station. 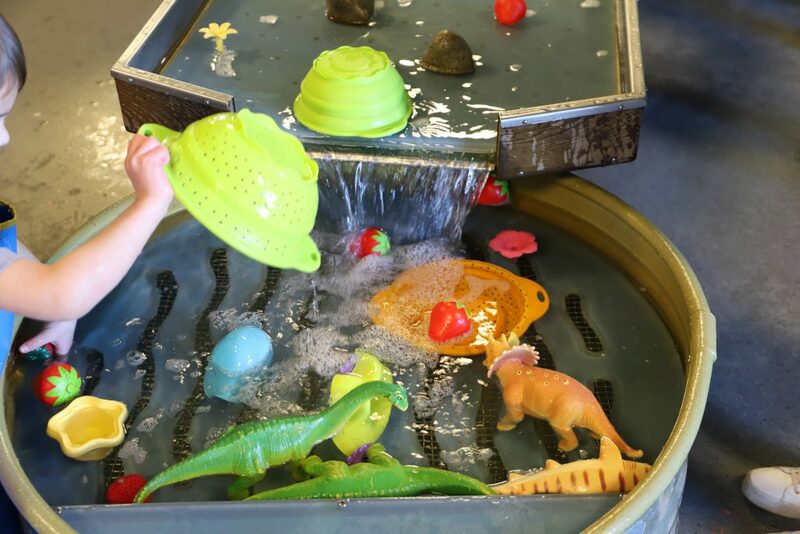 All these activities stimulate young children’s senses like touch, smell, movement, balance, sight and hearing. They facilitate exploration and naturally encourage children to play, create, investigate and explore. If you or someone you know has a child who may be experiencing developmental delays, please have them contact Pierce County Early Intervention Services. Once a family is referred, they are contacted by a Family Resource Coordinator who will act as an advocate for the family, coordinate evaluations, and build a support team for services. All children grow and develop in unique ways so it’s important to take an individualized approach. That is why the Family Resource Coordinators work hard to listen to your concerns and respect your family’s strengths, values, and diversity. Learn more about Pierce County’s Early Intervention Services by contacting us at 253-798-3790 or PCFRC@PierceCountyWa.gov. I vividly remember my first day in the County. I didn’t know what to expect! Many of the staff knew me from my work in the community. Those who didn’t wondered who the strange guy was roaming the hallways. 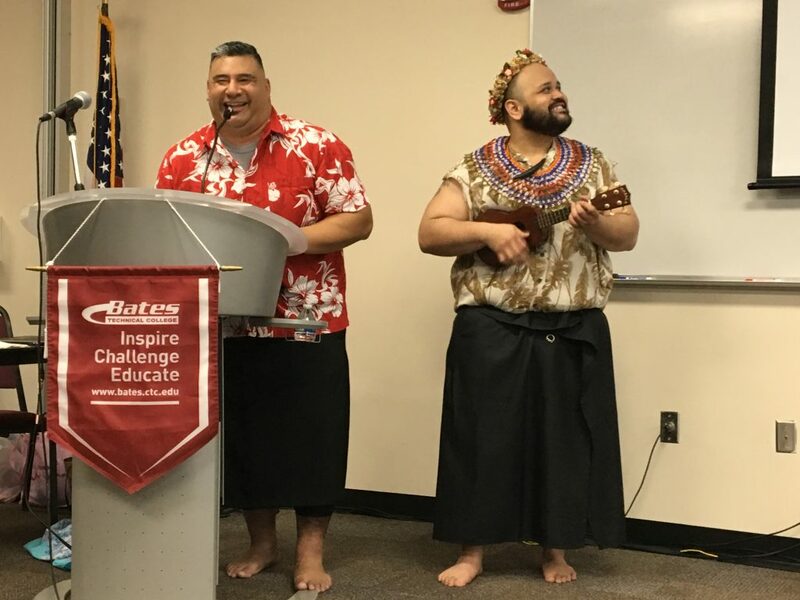 About two months after my arrival, we held our first all-staff meeting at Bates Technical College. I stood outside and greeted everyone like a preacher in the rain. I’ll remember that day forever and all the days through my last. I wasn’t sure what I was going to say during that meeting, but I knew that my life experiences led me to the County. I could relate to those we served. I grew up poor with six brothers and sisters in a 900-square foot house. My father was a Palestinian immigrant. For as long as I can remember, he held three jobs until he was hired by the VA to be a janitor. As a kid, I would go to work with him on the weekends and help clean the floors or play bumper pool with veterans from the psychiatric ward. My mother died of cancer at the early age of 42. Despite her suffering, she worked hard. We ate government peanut butter and drank powdered milk. Much of this is not important to most of you, but it gives some context as to why I came to the County. Each of us has a story. We can relate to each other because many of us lived through the successes and struggles. Most of us at some time or another have needed help. In this land of wealth and affluence, millions of the people we serve live in the most desperate situations. Sometimes we fail to provide enough. This is especially true to the most vulnerable. 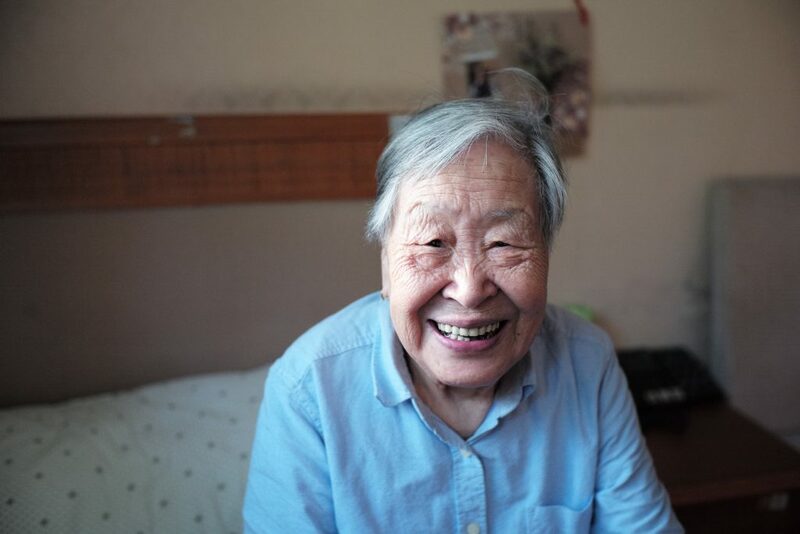 Pierce County Human Services serves the most fragile – the elderly, disabled, poor, the sick, abused women and children, the medically compromised, immigrants and refugees who speak little to no English. We work hard to provide them with opportunities for success in their lives and in communities. We help them lead healthier, happier and more productive lives. Through this work, Pierce County Human Services, and our partners in the community, are positively affecting generations to come. The Human Services Department is the hidden gem in the County…the voice for the voiceless. Each year our department serves literally thousands of people! From keeping people’s heat on through our low-income housing assistance, to providing in-home care services, putting food in the bellies of the poor and fragile, and teaching kids in those important early years, our work is vital. 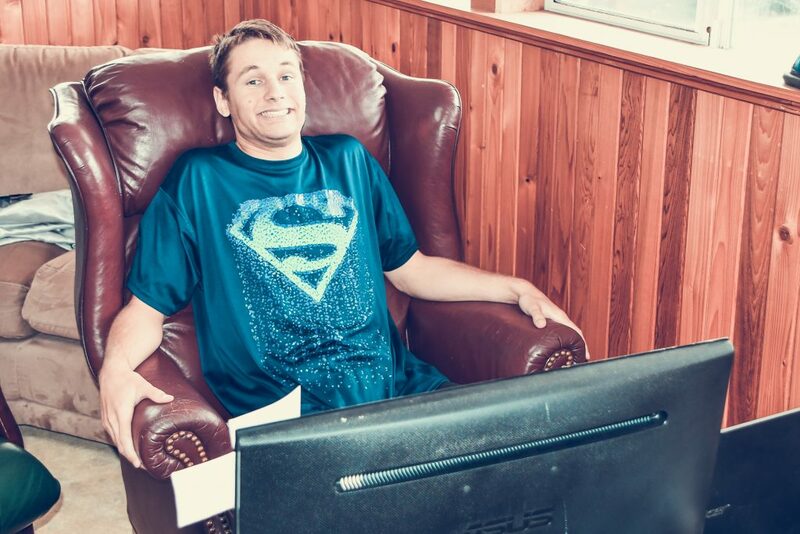 The myriad of programs we provide changes lives one at a time! Throughout its history, the department has proven we can overcome barriers. That together, as community citizens and workers, we can move beyond our differences and enhance our efforts to create a level playing field that is accessible to those who need it. As we move forward, we cannot be complacent. We cannot rest while people need us. The human cost is too high, and the outcome is too essential. We cannot compromise. Sometimes compromise makes a good umbrella, but a poor roof. You are here because you recognize that taking care of people is one of society’s most fundamental responsibilities. You are here because giving shelter to a person supports their dignity and comfort to be at peace. You are here because you care how people live. You are here to represent the spirit of dignity and justice. My hope for Pierce County Human Services, our partners and friends, is that you all continue to serve with purpose. Purpose does not always need to involve calculations or numbers. Purpose is about the quality of life and dignity we give someone. Purpose is human, not economic. I want to thank each person and each organization that partnered with me and the Pierce County Human Services Department during my three years at the County! So, as I depart, remember what you need to do. Remember what you hear from those that cannot speak for themselves. Remember that we cannot do it alone. Remember that you are part of the solution! I am not going far. I will be heading back to the Korean Women’s Association where I will renew my commitment to serve the community. I’ll miss you, but my door will always be open to the residents of Pierce County. Let’s keep on flying! While you continue to serve from the inside, know that from the outside, I will work tirelessly to help you change lives…one person at a time! Every February, we celebrate Black History Month to honor the contributions and accomplishments of African-American pioneers and visionaries. On the national level, historical figures like Martin Luther King Jr. and Rosa Parks are often the focus (rightly, so!) of this celebration. But what about African-Americans on the local level? 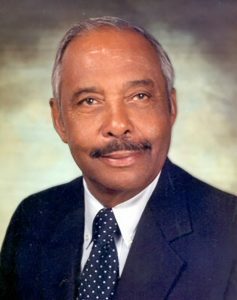 Let us recognize one of Pierce County’s most prominent African-Americans advocates from history – Judge Jack Tanner. Born in Tacoma in 1919, Jack Tanner was a star student-athlete at Stadium High School who joined the U.S. Army. During WWII, he served in a segregated unit, an experience that created his first view of racial discrimination. That view would influence his actions to further his education and attend the University of Washington Law School. He was the only African-American enrolled before he graduated in 1955. After he passed the bar exam he worked as a longshoreman because prospects for black attorneys in the Tacoma area were slim. Ever the activist, he joined the NAACP in 1957 and served as Regional Director for eight years. By this time, his work as an attorney was gaining momentum. He played a notable role in many civil rights demonstrations around the state – so much so that in 1963, he was invited to the White House to advise President John F. Kennedy on race relations. Throughout his career he supported Native Americans and helped local tribes fight for their fishing rights. In 1966, although he didn’t win, he was Washington state’s first black candidate for Governor. In 1978, Tanner became the first African American in the Pacific Northwest to be appointed to the federal bench. He sat in both districts with a caseload three times the average of other judges. During his career he was known for civil rights activism and his outspoken belief that the courts should be a place where people of any color, gender, or class could find a measure of justice and equality. His decisions drew controversy regularly. One ruling in 1980 declared that the state penitentiary at Walla Walla had violated the 8th amendment against cruel and unusual punishment. Another major decision in 1983 established equal pay for women. Although eventually overturned, his ruling received national attention and was considered a major victory by women’s rights advocates. In 1989 he became eligible to retire but vowed to stay when he heard that he would not be replaced by another African-American judge. 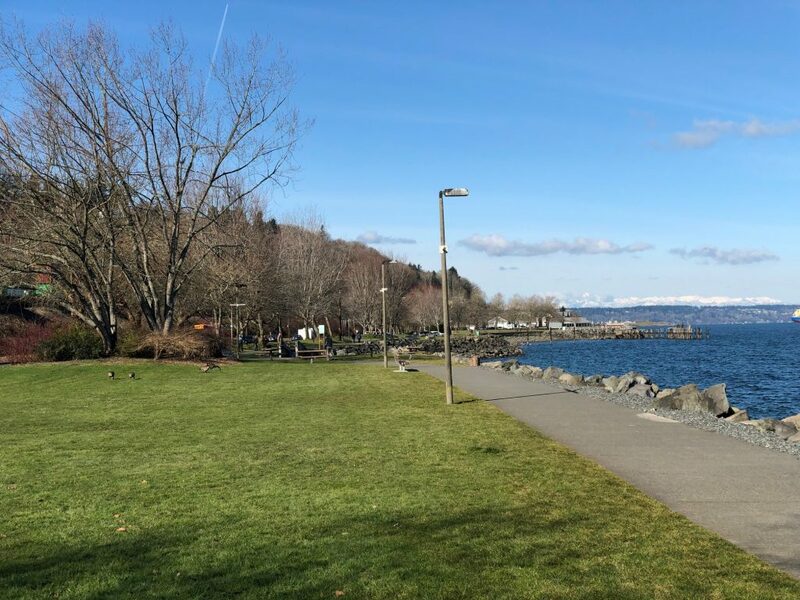 Last year, the Metro Parks Tacoma board of commissioners decided to rename Marine Park to Judge Jack Tanner Park to honor his legacy. Black History Month presents an important opportunity, not only to celebrate the countless achievements of African-Americans and their role in shaping our history and culture, but also to reflect on where we are now as a nation, and how we can continue to grow together. I encourage you to explore the lives of Jack Tanner and other extraordinary people whose work has changed, and continues to change, the field of human services. Regardless of race, we all want the same things: love, respect, and acceptance. My hope for the future is that by loving what makes each of us different we will learn to celebrate the diversity of those around us. For many reasons, thousands of people who live in or travel to Pierce County are either temporarily or permanently unable to transport themselves where they need to go. They may be too young or too old to drive, they may have a mental or physical disability that inhibits their ability to get around, they may live outside of the public transit service area, or the cost of transportation is unaffordable. Whatever the reason, Pierce County believes that transportation services accessible by all is critical for a healthy and independent lifestyle in Pierce County. Beyond the Borders (BTB) was created in 2003 to help close some of these transportation gaps in Pierce County. When it first started, BTB served areas of Pierce County south of Graham and Spanaway such as Eatonville and Roy where there was no bus service. Later, when Pierce Transit’s service area was reduced, BTB expanded its service area to include areas of east Pierce County such as Sumner, Buckley and Orting, to assist people who found themselves without any public transportation options. Currently, BTB provides free rides and connections to Pierce Transit buses for eligible riders who need to travel to work, medical appointments or other essential errands. Eligible riders include seniors 65+, youth aged 12-17, people with disabilities, and people with low incomes. There are two ways to get rides with BTB, but we will only focus on the first for this blog, which is to hop on one of two Connector bus routes. Riders in east Pierce County can catch the Sumner-Bonney Lake Connector, which makes five stops starting at the Sumner Sounder station and ending at the Walmart in Bonney Lake. 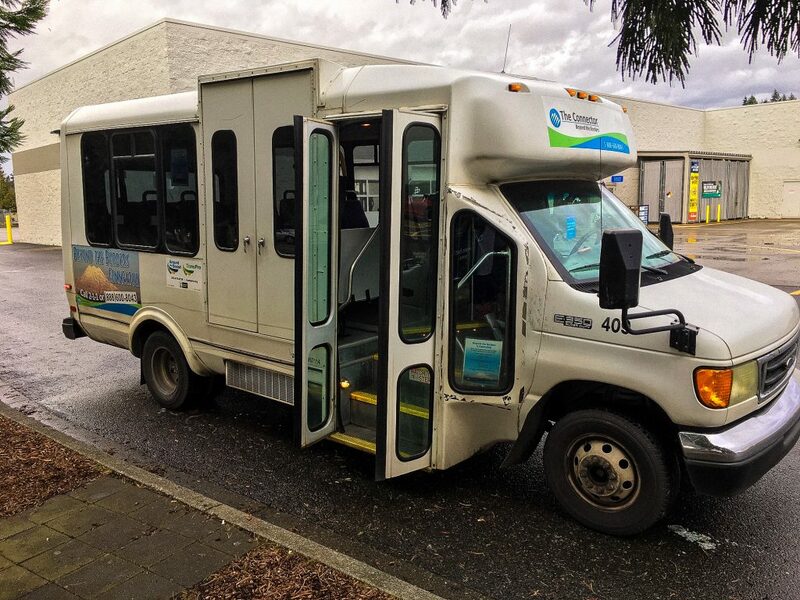 The Connector stops at the Fred Meyer, Senior Center, and Gordon Family YMCA in Sumner, and runs every 45 minutes Monday through Friday from 8 a.m. to 4 p.m. 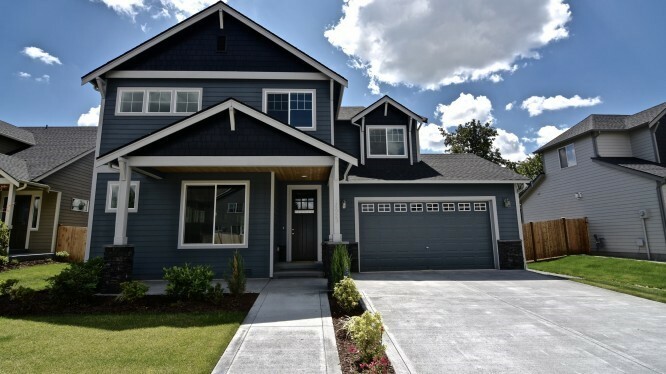 Residents in south Pierce County can access the South Hill-Spanaway Connector, which makes four stops starting in South Hill, passing through Graham, and ending in Spanaway. This route also runs Monday through Friday, but starts at 6:45 a.m. at the Fred Meyer in South Hill and ends at 5:20 p.m. After leaving South Hill, the next stop is at Safeway in Graham. 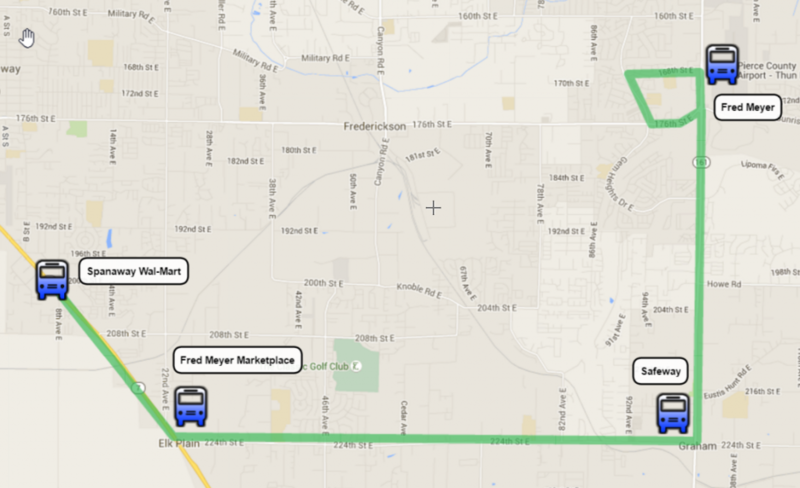 It travels south until it reaches the third stop at Fred Meyer on 224th and ends the route at the Walmart in Spanaway. I had the pleasure of riding the Connector on both routes and was able to meet the drivers and some riders. One rider, that I’ll call Mike, lives in Graham and has been taking the Connector for years. He lives about half a mile from the route but that is not a problem because if riders live within one mile on either side of the route, the Connector will pick them up or drop them off at their home. The Connector bus waiting for riders outside the Walmart in Spanaway. If riders don’t live near a Connector bus stop they still have options! Riders can make a special transportation request for a pick up or drop off location near the route. Each route has about 25 unique riders who take an average of 250 trips per month! The Connector buses can seat up to 12 people and can fit two wheelchairs. In order to ride the Connector, you must first register with Beyond the Borders by calling 253-476-4657 or 1-888-600-8043. Once registered, riders can take the Connector as often as they like. For special transportation requests from the route, BTB recommends making a reservation in advance to ensure the driver can accommodate your request. If you want to see what it’s like to ride the Connector, check out the video below. Don’t live near a Connector route? BTB may still be able to help! For more information about Beyond the Borders and other transportation services visit us online. Remember, difficult roads often lead to beautiful destinations. Let us help you get there. Next month, on January 25, hundreds of volunteers will hit the streets to participate in the annual Homeless Point-in-Time Count. The purpose of the Count is to collect information about how people became homeless, so we can improve programs and services to help them. Volunteers are the backbone of this important day because we would not be able to gather this necessary information without their hard work, dedication, and compassion. 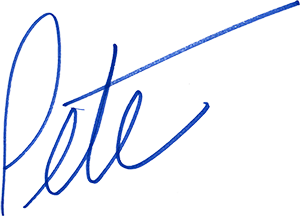 Last year we had over 300 volunteers and this as of this writing, with 5 weeks left to sign up, we have 191 people registered to help on the day of the Count! Watch the video below to hear about the experiences of past volunteers. 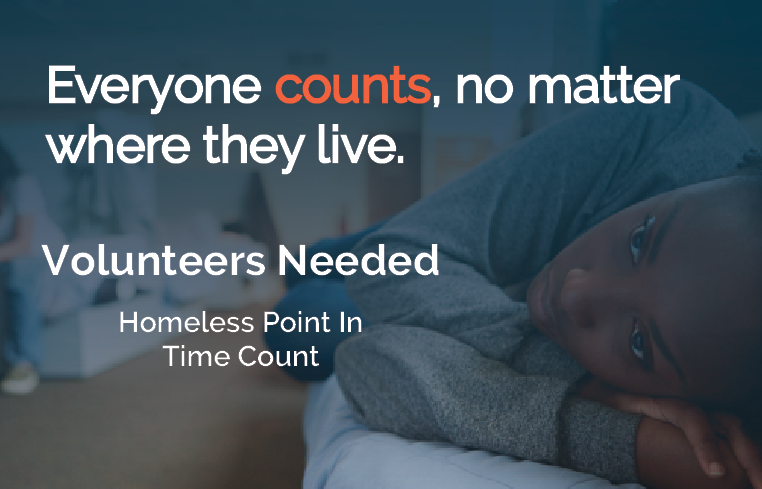 The Homeless Point-in-Time Count is critical to the development of services and policies that will help us address homelessness, but none of it is possible without volunteers. One volunteer may come with friends from church who want to give back to those less fortunate in the community. Another person may want to volunteer because their brother lives in a shelter and they want to understand the system better. have different reasons for volunteering, but the one thing that all volunteers have in common is that they have good hearts and care about others. So, what is the day of the Count like for volunteers? Before you’re scheduled to begin your shift, you will meet up with your team at your agreed upon location to gather donations, make sure your app is working, and plan out your route. During the Count, volunteer teams fan out around the county to collect information from willing participants. Volunteers may join an outreach group, assist with donations, or help at one of the numerous events that day supported by our partnering agencies. Walking up to people who we think may be experiencing homelessness and striking up a conversation can be a bit awkward, but that is why volunteers can be placed in a group with professionals. These professionals vary in their experiences and may work in the human services field, have lived experience, or have participated in the Count for the last five years. We find that most people we come across don’t mind the survey and are willing to speak to us, but others are not, and that is okay. At the very least, we offer them donations and information on local resources. I want to help but, how big of a commitment is this for me? Volunteers must register online and sign up for an in-person 2-hour training opportunity where you will learn about the Count, conversation starters for participants, how to use the survey app, and much more! When you register, you will choose a 4-hour shift time slot to volunteer as well as your preferences for location. Afterwards, you will receive an email with your meeting location and outreach assignment. Volunteers can help tremendously by taking just a few hours of their time to assist in the Count. If I volunteer, how will this help improve the ‘homeless epidemic’ I keep hearing about? The Point-in-Time Count provides us with valuable information every year. We use this information to determine if there is an increase in certain populations becoming homeless, or if there is an increase in need for certain services based on the cause of homelessness or disclosed disabilities, for example. One of the most important things the Count does is help us reach people who are not accessing services, so we can connect them to supportive networks in the system. The more we reach, the more likely they are to access services that can help end their crisis with homelessness. Additionally, the Count data educates elected officials, policy makers, and citizens by giving them a first-hand glimpse of what it is like to be homeless. Our hope is that the Count will provide data that drives program needs and helps decrease the number of people experiencing homelessness. I have physical limitations and can’t walk around for 4 hours. Is there something else I can do? Yes! There are ways everyone can help. Our partnering agencies have events during the day of the Point-in-Time Count where you can sit down indoors. Project Homeless Connect is an all-day event where you can hand out donations, conduct surveys at a table, or help with other tasks like directing traffic or connecting people to the right resources. We also are looking for volunteers to host donation drives! You can start one at your work or in your neighborhood. Donations can be dropped off through January 23rd, at any of our four locations. We have learned so much through the Point-in-Time Count, but I will save that for another blog post when we go over the 2019 results! For now, check out the 2017 and 2018 Point-in-Time Count results to see a snapshot of what homelessness looks like in Pierce County. To our volunteers, past and present, thank you for your time, commitment and service to the Point-in-Time Count. 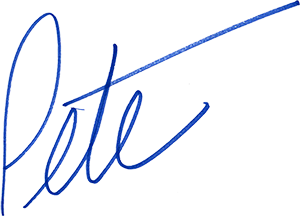 You are undoubtedly helping us improving the lives of Pierce County residents and for that, we are forever grateful. Last year, 11.4 million Americans aged 12 or older reported misusing opioids. Drug addiction is an issue that affects everyone, even here at home. In Pierce County, from 2007 to 2017, the number of opioid-related deaths rose to 833. The Orting Valley, which includes Sumner, Puyallup, Bonney Lake, Buckley, and Eatonville, has witnessed an acute problem of addiction for a long time, but in 2017, after a series of fatal overdoses, the community realized it was time for change. After a year of planning and preparation, recovery has finally come to communities in East Pierce County. The weekend before Thanksgiving, I was fortunate enough to be a part of the grand opening of the Recovery Café Orting Valley. The event kicked off with speakers whose support has been key to this project, then was followed by a ribbon-cutting ceremony and an open house tour with refreshments, food, love, and laughter. Recovery Cafés are based on a model of building relationships, compassion and support. They help men and women who are traumatized by homelessness, addiction, and other mental health challenges. It is a refuge for hope and healing that started in Seattle and now Orting is the most recent addition. People who want to seek help from Recovery Café must become members and be clean and sober for at least 24 hours. Killian Noe, Founder of Recovery Café, says that “one of the most important lifelines at the heart of this recovery café is the deep understanding that everyone that comes here will be a contributor to the healing of others.” Recovery cafés are different from traditional human service agencies because members don’t just come to receive services, they come to receive and give. And boy, are there ways to give back! Members can work in the community garden, engage in recovery circles, and help support others through training programs. At the event, I met so many people who were selflessly donating their time and energy to celebrate this milestone. That service mentality is a direct reflection of the Recovery Café model. 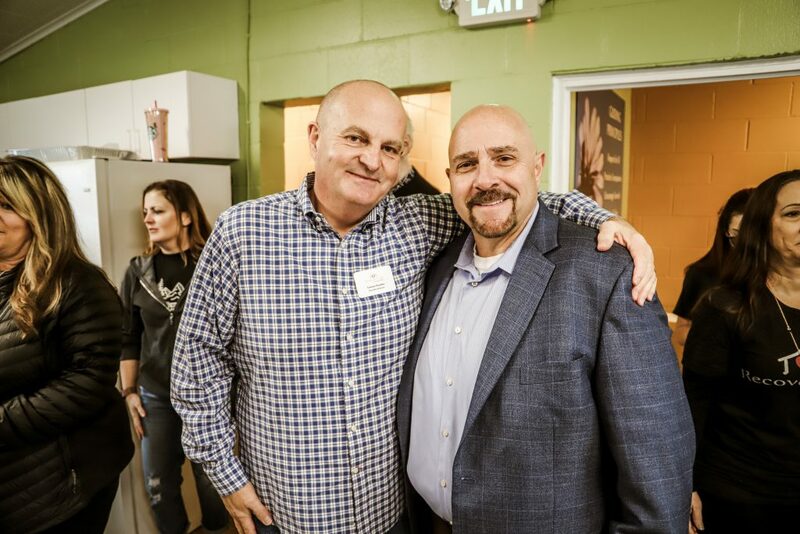 Dennis Paschke and I inside the Recovery Cafe Orting Valley. The space includes an office, group room, and kitchen. It looks outstanding! Across our state we are seeing the terrible effects of heroin and prescription narcotics on our families, friends and communities. I think we all know somebody that is affected by drug addiction. The statistics are staggering, but there are people out there who need our support and want help. It can take time to rise out of the darkness and overcome tragedy, and what the people in the Orting Valley have demonstrated through the opening of this café is nothing short of amazing. Now, people in the area suffering from drug addiction will have resources that are close to home, without having to travel far for treatment. 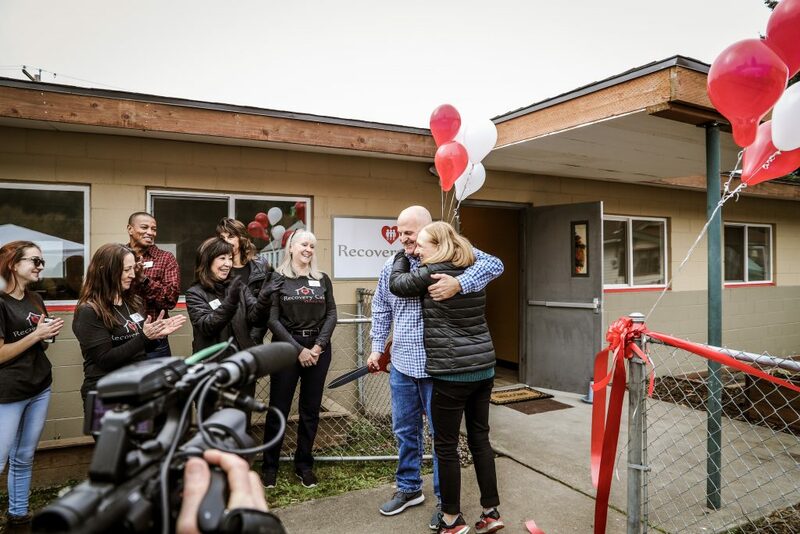 I am confident that the Recovery Café in Orting, though smaller in size and membership, will be as strong as its counterparts in Tacoma, Seattle and beyond. 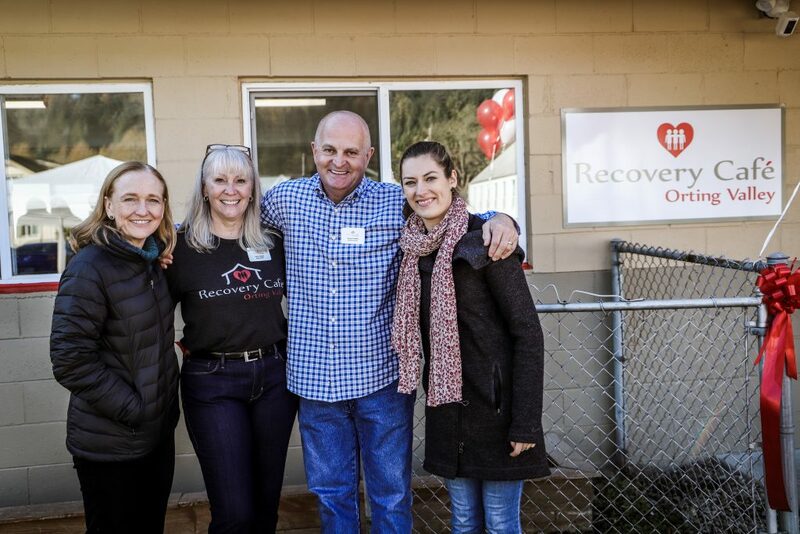 What I’ve found at other recovery cafes is that people do matter, and people are truly loved. I can see that. 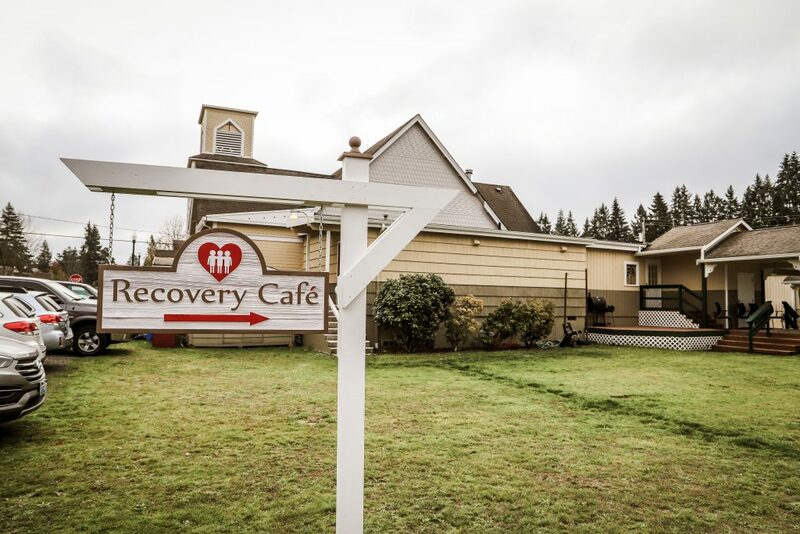 The Recovery Cafe Orting Valley sits behind the United Methodist Church in Orting, WA. Lives and families will be saved from the devastation of addiction because of this place. All human beings are precious, worthy of love and belonging, and deserve opportunities to fulfill their potential regardless of past trauma, mental or emotional anguish, addictive behaviors, and mistakes they’ve made. At recovery café, the community fosters stability, healing and recovery. Without ongoing support, the challenge to maintain stability, mental health, employment, relationships, housing, and breaking cycles of destruction is nearly impossible. I look forward to better things to come. Recovery Café Orting Valley is open on Wednesdays and Saturdays from 10:30 a.m. – 4:30 p.m. It is located at 113 Varner Avenue SE in Orting, behind the United Methodist Church. For more information, contact 360-208-8018. One in seven people in Washington state lacks access to food sufficient for a healthy and active lifestyle. In Pierce County, about 1.3 million visits are made to food pantries and meal sites every year. More than half of these visits to emergency food programs are on behalf of children and seniors. The Pacific Northwest is known for its often rainy and wet weather, but did you know many of us are living in food deserts? A food desert is an area that has limited access to affordable and nutritious food, and typically has low-income residents. Food deserts lack grocery stores, farmers markets, and healthy food providers. Without reliable transportation, heading to the store for your next meal is not easy. Maybe you can afford a car or money for the bus, but how far away is the store? Sometimes the price of getting to a meal is more expensive than the meal itself. Unfortunately, these are the realities that many families in Pierce County face each day. According to a Tacoma-Pierce County Health Department report, much like cities across the United States, the food landscape of Tacoma has dramatically changed over the past fifty years. People in neighborhoods that previously had multiple grocery stores, bakeries, taverns, drug stores, and meat markets owned by long-time community residents are now dependent on one grocery store or a commute to the nearest supermarket miles away. 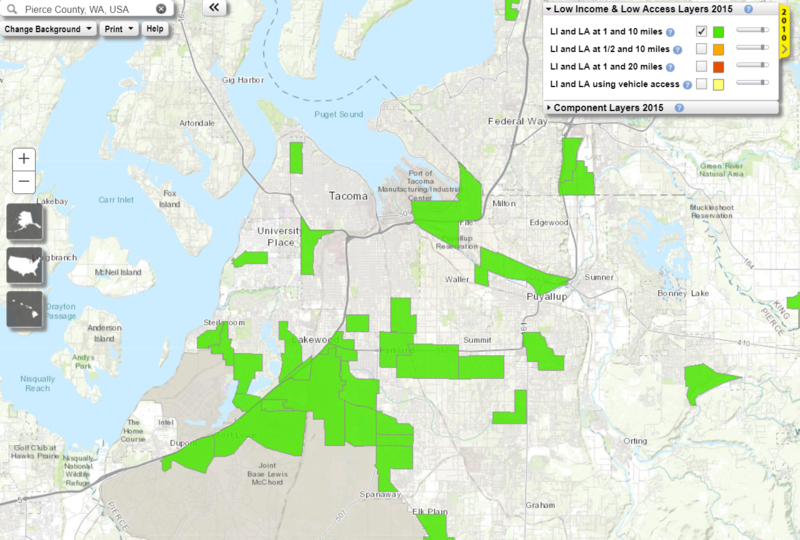 The green areas show low-income areas where residents are more than 1 mile (urban) and 10 miles (rural) from the nearest supermarket. Low-income communities often have the highest density of fast-food restaurants, the fewest high-quality grocery stores, the fewest safe physical activity opportunities, and the highest density of alcohol and tobacco merchants and advertising. Healthy eating and active living are the foundations to prevent obesity, but not everyone has the same opportunities for exercise and healthy food. 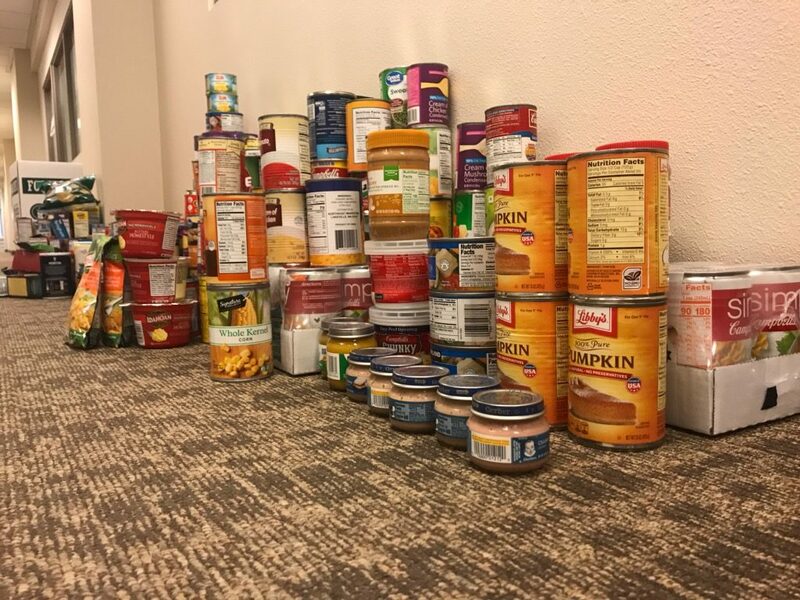 With the holidays approaching, Pierce County Human Services wanted to give back to the community with a food drive. The first week, staff collected over 248 cans of food. Enough to feed a family of 4 for 2 weeks. The second week we collected pet food, totaling 93 cans and 6 bags. Enough to feed 2 dogs and 10 cats for 3 weeks. During the third week, we collected 4 boxes of Kleenex and 124 rolls of paper towels and toilet paper. Enough paper products to last a family of 4 for two months. During the final month of October, we collected 77 items that included soup, pasta, cereal, baby food, peanut butter, and baking ingredients. In total, our team collected 459 pounds of food and necessities for families in the County. 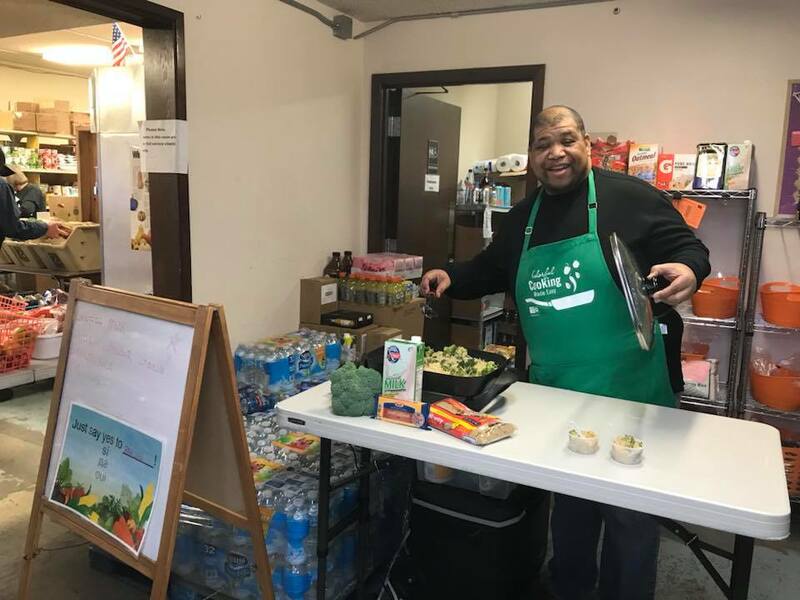 I am very proud of the Human Services team for their compassion and kindness, but it started me thinking, what else can we be doing to make healthy food more accessible for our community? Who else is working to feed Pierce County? During our quest to donate as many items as possible, we came across WSU Pierce County Extension, a contractor with The Department of Social and Health Services (DSHS) SNAP Program. The Supplement Nutritional Assistance Program Education, or SNAP-Ed for short, provides community-based nutrition education for adults and families in fun and impactful ways. One of the workshops WSU Extension provides is called Eating Smart, Being Active, and it’s a 9-week series where participants prepare healthy meals, learn about nutrition, and how to shop smart. Another workshop is, Plan, Shop, Save, Cook. During four lessons, families learn how to save time and money, while discovering ways to plan nutritious meals, and tips for stretching food dollars throughout the month! Participants receive incentives and other goodies such as a grocery bag, kitchen utensils, a magnetic shopping list, or a cookbook. Both workshops are designed for residents who are SNAP eligible, but do not necessarily have to be receiving food assistance benefits. SNAP-Ed targets anyone living below the federal poverty level, and offers programs for youth, families and adults. Youth programs encourage students and their families to eat more fruits and vegetables, whole grain foods and low-fat dairy and to balance food consumption with physical activity to maintain a healthy weight. 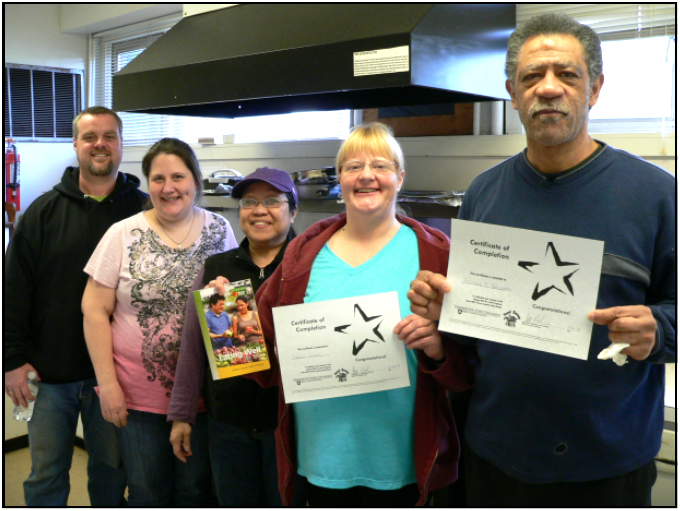 Adult series and single events are offered at a variety of community-based locations such as Food Banks and distribution sites, affordable or transitional housing sites, and at the WSU Extension Office in the Pierce County Human Services Soundview Building. They emphasize portion size and the importance of physical activity. The best part about these workshops? Classes are at no cost to participants! 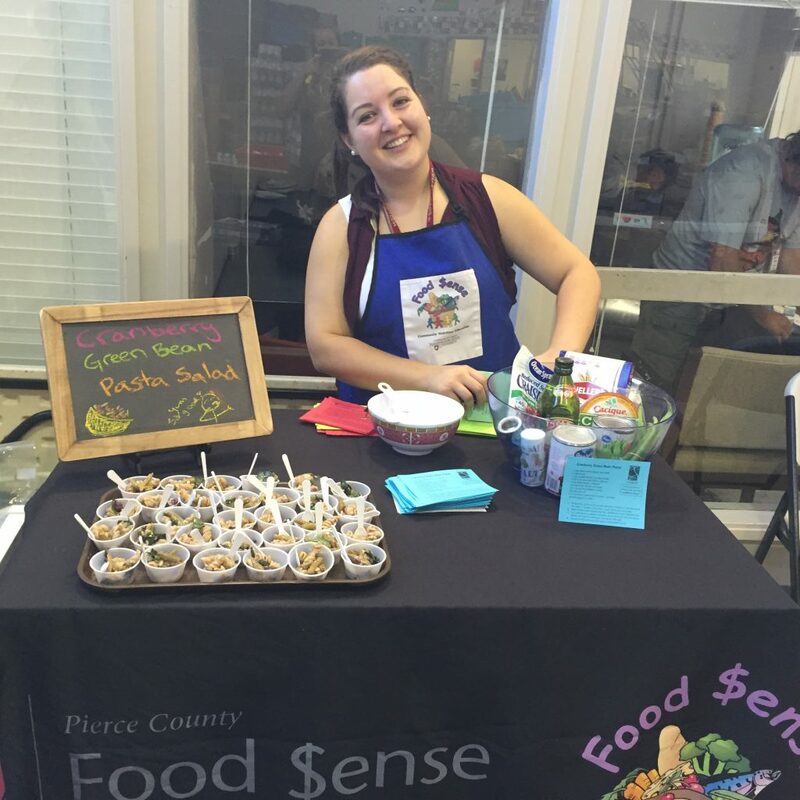 SNAP-Ed employee Mattie manages a station at St. Leo’s Food Connection with free samples, ingredients, and recipes for food bank shoppers. SNAP-Ed often sends representatives to food banks for cooking demonstrations. They take common items found at food banks and create delicious meals that are easy to make and affordable. This not only helps shoppers broaden their culinary horizons and step outside their comfort zone by trying new foods, but it also helps foster a sense of community and belonging between shoppers and volunteers. Another way that SNAP-Ed helps reach people who need food assistance is by creating items in different languages, so more people can access food and communicate needs to volunteers. Visit SNAP-Ed online for recipes, activities for children, money-saving ideas, and time-saving tips. If you are living below the federal poverty line and want to see if you qualify for SNAP-Ed benefits, or are a business that would like to host a SNAP-Ed demonstration, contact the WSU Extension Pierce County SNAP-Ed Program Manager Linda Mathews, at 253-798-7154. Want to learn more about food access in the United States? Check out the USDA Economic Research Service Atlas. John Adams passed the Act for the Relief of Sick and Disabled Seamen in 1798, marking the first federal public health law. Over the next 200 plus years, many laws and much legislation would be passed cementing the government’s role in ensuring the health and safety of people in America. 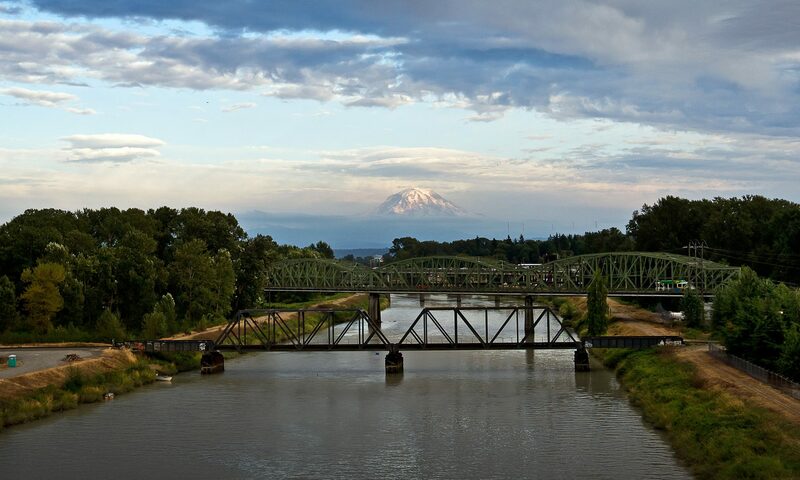 Since the 1950’s, Pierce County and its incorporated cities have continued to grow, through hard times and good times. As the Director of Human Services, I take great pride in the work that my department does every day to provide essential assistance to vulnerable people. Our department is diverse in programs, and I often get asked about what we do and who we serve. For starters, there are over 50 programs that we manage, operate, or fund in Pierce County, so it isn’t easy to narrow down or generalize the good work we do! It is our mission to work hard to ensure all residents have equitable access to community-based services that respect each person’s unique experience. Most of our programs focus on low-income families, children, seniors, and disabled individuals, but we want to invest in all individuals and help communities thrive in every way imaginable. Our biggest division in the Human Services Department is Aging and Disability Resources, or ADR, for short. 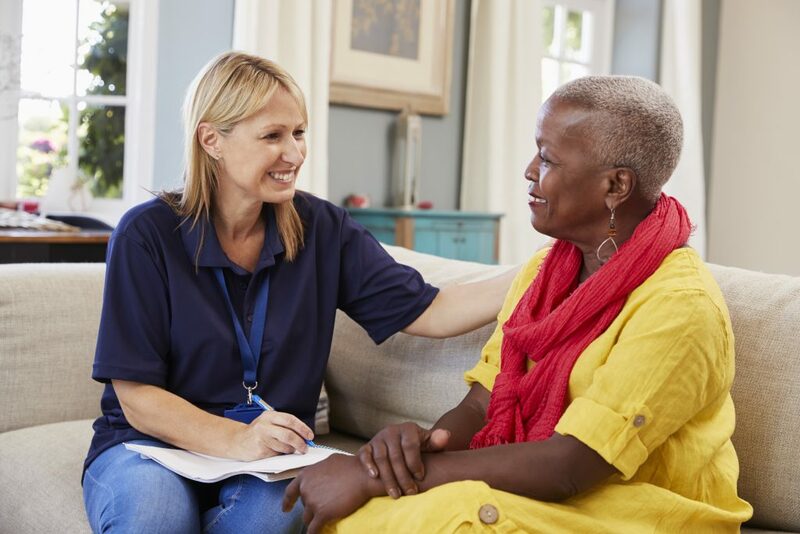 We provide case management services and fund other agencies to assist with home care, health homes, transportation, medical, food services, and other programs. We also provide financial, health, and safety resources for family and kinship caregivers. The Aging and Disability Resource Center is open Monday through Friday from 9 a.m. to 4 p.m. and provides anyone who calls with information about everything from education on fall prevention to how they can receive assistance with Medicaid applications. Within ADR is our Developmental Disabilities (DD) division, which is small but mighty! We provide services to children aged birth to three with developmental delays and work closely with physicians and provider agencies to offer supervision and ensure all services are in accordance with federal and state laws. We also provide employment and day services for adults with developmental disabilities. Our School to Work program is for transition students in their last year of high school. 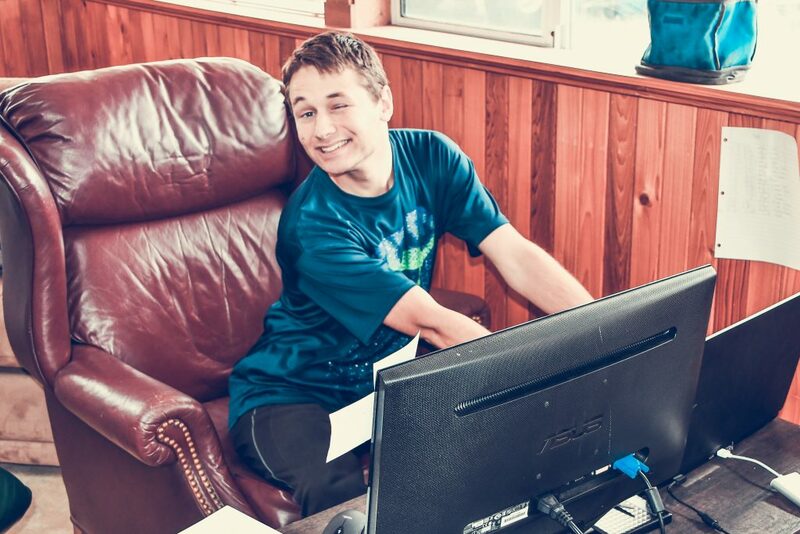 If you read about Joel last month, then you know what wonderful work that team does to support young adults! Next, Human Services is proud to offer home safety, energy assistance, and early childhood education through our Community Actions Programs. This division serves as the safety net for some of the most vulnerable residents by assisting with payments to heat providers and weatherizing homes, so people stay warm in the winter. Also, homeowners can apply for help with home repairs and we send out contractors to fix issues related to safety, such as electrical and plumbing modifications. Also, we have two special needs transportation programs called Beyond the Borders and Mobility Management, that help residents across the county get to work, medical appointments, and run necessary errands. We receive Community Block Grants that are provided to us every year to expand economic opportunities to benefit low- and moderate-income areas. These funds are commonly spent on youth violence prevention and developing a homeless crisis response system across Pierce County. Our numbers show that our creativity with Coordinated Entry is working! In fact, we were just named as an Anchor Community by A Way Home Washington, an advocacy group dedicated to ending youth homelessness in Washington State by 2022. Likewise, affordable housing is an important issue that we are working to resolve in many of our programs, but we are thankful for funding through the Community Development Corporation that allows us to improve economic development through loans. So far this year, 151 new affordable rental and ownership housing units were awarded! Once completed, these units will provide safe and affordable housing to seniors, veterans, disabled individuals, and homeless households and families. 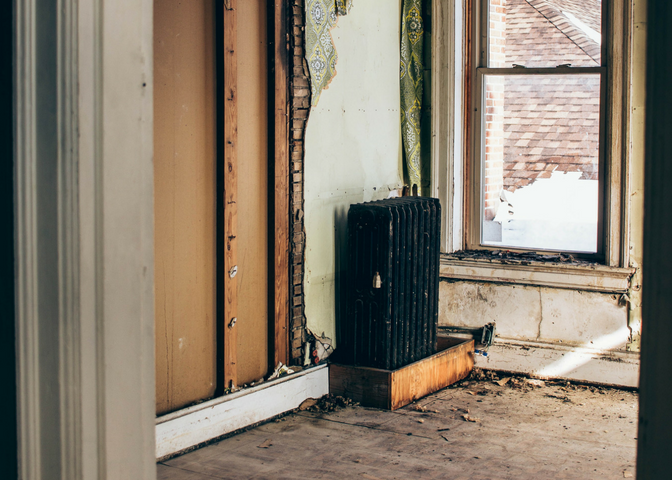 We offer low interest and zero interest loans to homeowners who need assistance with rehabilitation and replacement of substandard homes, as well as residents buying their first home! As of this writing our 2018 numbers show we helped thirteen homeowners complete major rehabilitation to their homes and helped eight residents become first time homeowners! Additionally, in partnership with the Pierce County Economic Development Department, we also provide loans to businesses that create jobs for low income workers. Commitment to service is in our DNA, which is why we honor Veterans through our Veterans Assistance Program that provides support with emergency financial assistance to indigent veterans. Not only do we provide support for rent, food, utilities, medical, dental, and burial costs, but we also seek ways to improve services for veterans. In addition to financial support, we provide services in advocacy and counseling through our Alternatives to Violence project in the Pierce County Jail to incarcerated veterans. While all the Human Services programs generally serve disabled or low-income residents, nothing is black and white. I encourage you to contact us if you have questions or need support in some way, because you never know how we may be able to assist you. For example, we do not provide behavioral health services directly, but we have relationships with other agencies (and even fund some of their programs!) who are able to help you find a doctor, receive a mental health evaluation, or locate the closest outpatient treatment program for you. 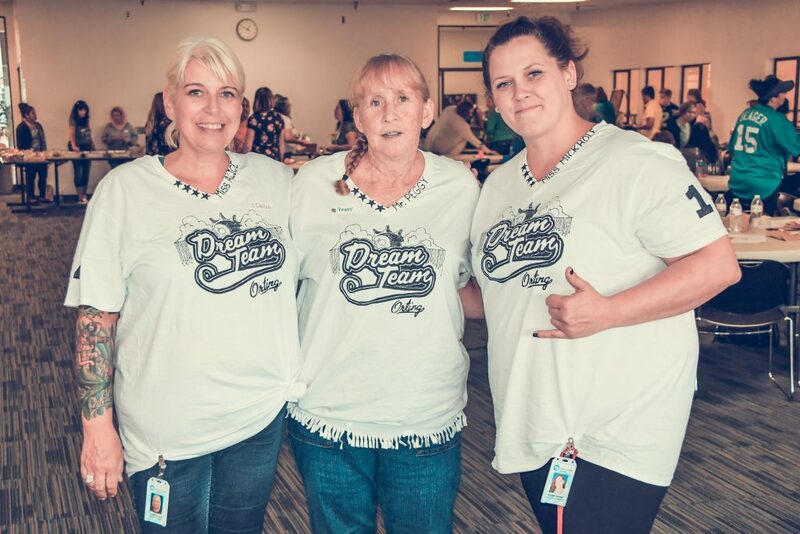 The Human Services Department is large, but it matches the hearts of our dedicated and compassionate employees. We are currently hiring for many positions, so if you want to become part of the positive change we are making in the lives of thousands of residents, please join our team! My main purpose of writing this blog is to introduce you to the services offered in anticipating that you share this information, so we can help those who need it most. Do you know a veteran or someone with special needs who needs transportation assistance getting to work? The Road to Independence offers free rides to and from work in NE Pierce County and South King County. Let us help. Does your disabled adult child want to start a hobby or find a job that improves his or her independence? We administer employment and day services through providers that are consistent with the participants’ interests, skills, and goals. Let us help. Are your neighbors at risk of becoming homeless and have a child turning four this winter? Contact one of our Early Childhood Education and Assistance Programs that help support children and families through education, community resources, development screenings, and free USDA meals. Let us help. Do you know someone on the Key Peninsula who is having a difficult time traveling? The Mustard Seed Project provides door to door transportation services throughout the western-most parts of Pierce County. Let us help. Are you worried about your elderly grandmother’s health because costly vegetables and healthier options are too expensive for her limited income? Contact the ADRC and ask for a farmers market voucher so she can eat healthy at no cost. Let us help. To learn more about Human Services programs, visit our website. To see where we are headed over the next few years, view our strategic plan. Growing up, he often acted with reckless disregard for structure and rules. When he was 30 years old, his family received a call from the ER informing them that he was in a psychosis and had been diagnosed with Bipolar 1 disorder. Over the next three years, he would be in and out of different hospitals over 20 times and incarcerated several times on petty crimes, usually property destruction and failing to make court dates. Last year, in a desperate attempt to get him help, his family filed a petition with the court asking for involuntary commitment to treatment. The petition was granted, and he was ordered to take medication. Due to the nature of his illness, he was resistant to medication, which is very common in people with mental health conditions. To administer his treatment, he was placed in soft restraints, but he fought back and bit three of the healthcare workers. He was later charged with Assault 3 and brought into the jail for three weeks until he could be sent to Western State Hospital for a competency evaluation. He was offered a plea deal to reduce the charge, and the treatment petition was dismissed after he was released from jail. The same scenario happened again shortly after, perpetuating a vicious cycle that too many families endure. This week, the second week of October, is National Mental Illness Awareness Week. We worked with friends at NAMI Pierce County to create a proclamation that was adopted by the County Council and the Executive this week. NAMI, the National Alliance on Mental Illness, is the largest grassroots non-profit organization in the country. They support individuals and families whose lives have been touched by the challenges of mental illness. 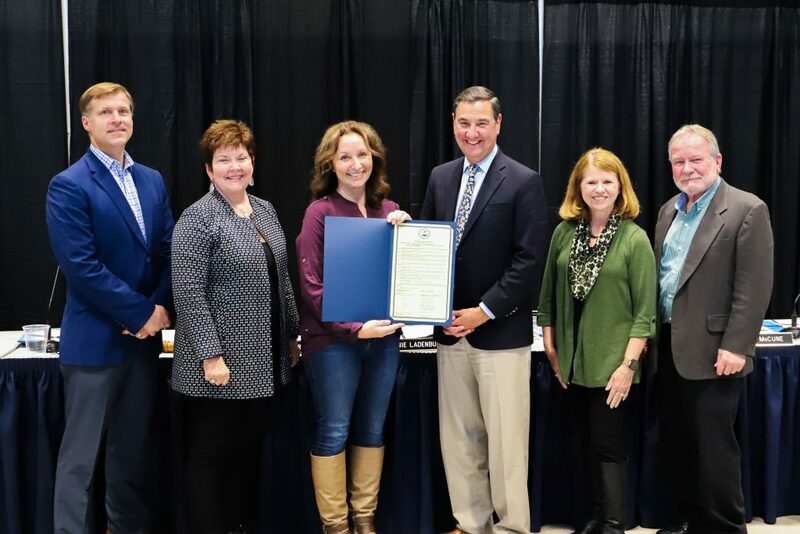 The Pierce County Council and Executive declare October 7-13, 2018 as Mental Illness Awareness Week! NAMI Pierce County Board President, Cynthia Macklin (center), accepts the proclamation from Councilman Richardson. We met with Cynthia Macklin, NAMI Pierce County Board President, to discuss her organizations efforts to help residents in the county. She is an attorney and mother of two adult children, one of whom has a mental health condition, which is why she became involved with NAMI. Advocacy, education, and reducing stigma are among the group’s core values. This year, NAMI is promoting their Cure Stigma campaign through awareness and education. At NAMI, classes and support groups are available for free to anyone, regardless of membership. 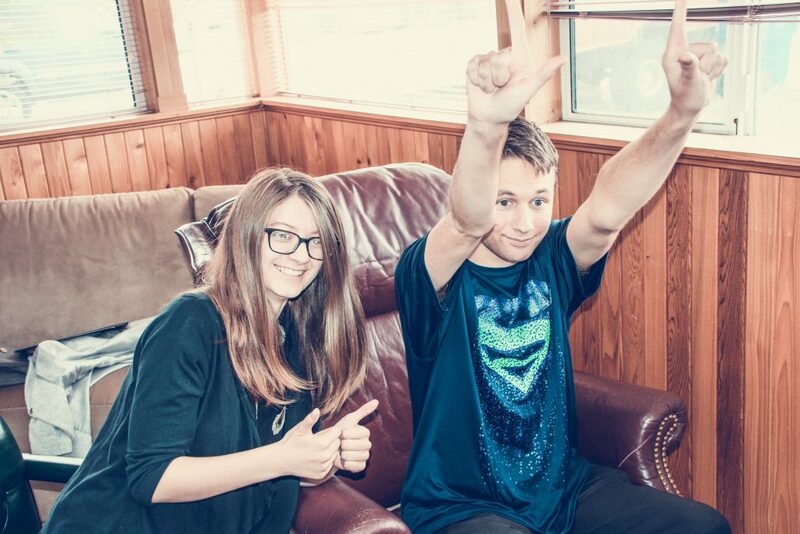 They have support groups for peers (people living with a mental illness), as well as family members and friends. Their 13-week course, Family to Family, is a 2-hour per week class that educates family members of people with mental illness on coping skills, what they should do, what they shouldn’t do, etc. Next week they are hosting an estate planning presentation, with a focus on special needs trusts. NAMI’s website has resources for people in crisis, students, families, LGBTQ services, and teens. There is even a section dedicated to navigating the legal system, including a guide on how to support a family member who has been arrested. The County has taken steps to address the need for more behavioral health support for residents. Last year, the Mobile Crisis Intervention Response TEAM (MCIRT) was created to collaborate with first responders to help high utilizer residents experiencing a crisis get the help they need without calling 9-1-1. In partnership with the Pierce County Sheriff’s Department, the behavioral health co-responder program has designated mental health professionals who go out with officers and respond to calls that may be mental health-related. Our Trueblood program diverts people experiencing mental health issues from jail and helps them safely integrate back into society, so they don’t have to spend time locked away, without treatment, where they do not belong. 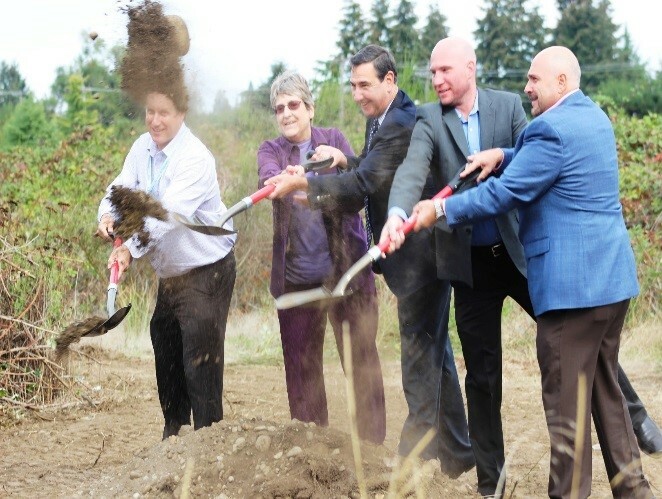 Most recently, the County Council approved a new Crisis Recovery Center in the Parkland-Spanaway area that will help stabilize residents experiencing a behavioral health crisis. 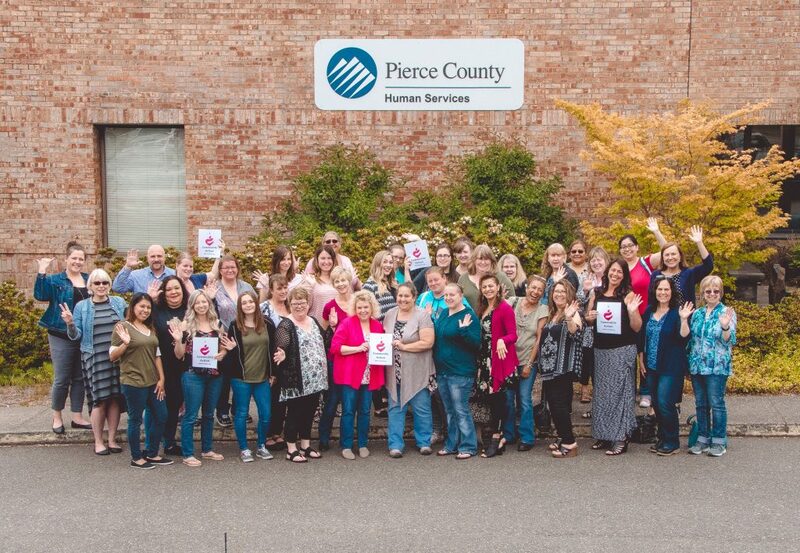 We look forward to our continued partnership with NAMI Pierce County and join them in raising awareness for mental illness and reducing the stigma surrounding it. If you have a mental health condition or are the family member or friend of someone living with one, reach out to NAMI for support. It is not easy, and we can’t do it alone. Things work better if you can take this journey together and support each other along the way. To the parent who feels ashamed, guilty, or fearful – it’s not your fault. Mental illness is not caused by poor parenting or weakness. Just like any other major illness, it is not the person’s fault. It is caused by environmental and biological factors. To the professional working downtown who turns the opposite direction when a person screaming about mind control walks towards them – do not be afraid. People experiencing mental illness are no more likely to be violent than those who are not living with a mental illness. Only 3%-5% of violent acts can be attributed to people who have a mental illness. In fact, people with severe mental illness are 10x more likely to be a victim of violent crimes than the public. To the person who was just released from the hospital for the fifth time this year and has no place to live – do not lose hope. People with mental illness can get better. Treatment works. Innovations in medicine and therapy have made recovery a reality for people living with a mental health issue, even chronic conditions. While all symptoms may not be alleviated easily or at all, with the right recovery plan, people can live the productive and healthy lives they’ve always imagined.